Jeanne Taylor – Jeanne – Album Review | The Ark of Music – The best music in the world…you never knew existed. Jeanne Taylor comes from a long lineage of music-makers. Father, Paul Peterson, is an original member of Prince’s, The Family (he currently tours with Peter Frampton). Her aunts and uncles have played or recorded with legends such as the Steve Miller Band and John Mayer. And, if that weren’t enough, Jeanne herself was named after her grandmother, legendary jazz artist, Jeanne Arland Peterson. What this has translated into, is a young lady who’s been performing since the age of 2, and recording her own demos on GarageBand by age 12. Now, despite juggling college and music, she’s found the time to record her first official EP, Jeanne, with the likes of multi-platinum producer Oliver Leiber (Paula Abdul), and multi-platinum producer Khris Riddick-Tynes (Ariana Grande, Chris Brown, Meghan Trainor). Admittedly, we at The Ark of Music are music snobs…particularly when it comes to pop. In our defense, this is because there’s so much overly-produced, all-hook, no-substance music in this genre—more than any other. That said, this is not the case with Jeanne. Truly, it is not. Easy: An immediately accessible, electro-influenced, synth-heavy break-up anthem. Damn In Love: A delicious web-spinning track which lulls you in with a few somber piano chords, and then drops a beat that pins you down and makes you ignore whatever task you may be working on…cuz you gotta just listen. Adderall: The album’s pure club-jumper. The “focus like Adderall” reference is clever, and just might be clever enough to break. Across every one of Jeanne’s masterfully-produced seven tracks, Taylor delivers what truly sounds to be an effortless vocal performance. Her tone is flawless—and most importantly—quite enjoyable to take in for the entirety of the album. What’s more, unlike a great many pop acts today, Taylor’s lyrical content is respectable and real, accessible and honest, and refreshingly absent of the dumbed-down, overly-simplified, one-dimensional, semi-trashy pop so frequently filling our radio airwaves. Quite frankly, I’m relieved to discover that pop like this is still being made. It’s just not complicated: If you love Rihanna’s voice, you’ll love Jeanne Taylor’s. It’s really that simple. 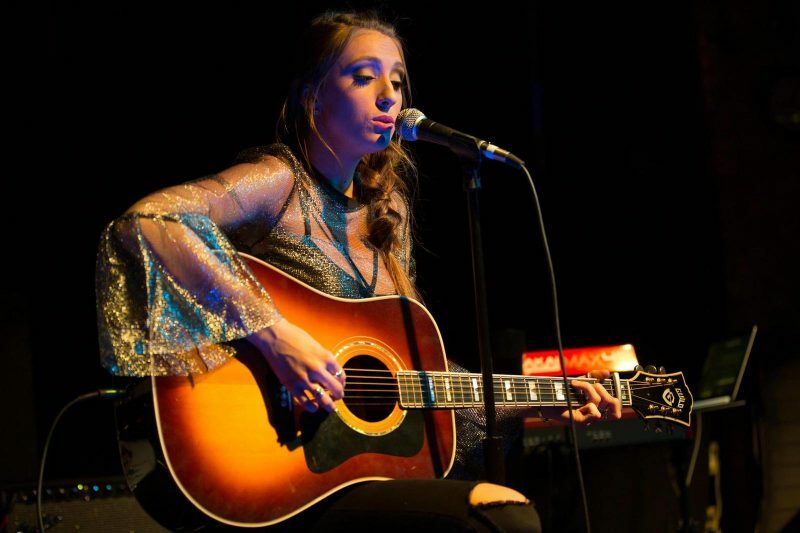 BELOW, you can listen to Jeanne Taylor’s album, Jeanne, connect with her website and social media platforms, watch her music video, check out her live show/tour schedule, and find her booking & contact information. Please support Jeanne Taylor by visiting her online, and playing, downloading, and/or purchasing her music. And, as always, thank you for supporting real music!